Bollywood director and producer Rakesh Roshan has been diagnosed with squamous cell carcinoma of the throat, however, he has been diagnosed in the initial stage of cancer. Today the director will go throw a surgery and his son and superstar Hrithik Roshan shared an emotional post on social media. 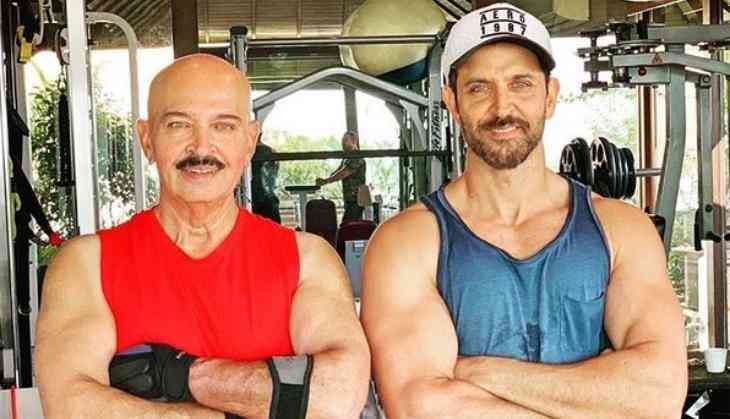 Hrithik Roshan informed about his father's health through an Instagram post, and he told that his father is going through a surgery today and even after that he has not missed his gym session. He also shared an photo with his father with an emotional post. This is to notice that Rakesh Roshan was last active during the direction of his biggest film even Krrish 3, starring Hrithik Roshan and Priyanka Chopra. The film was a super hit at the box office and after that, he produced the film Kaabil for Hrithik.